Today, guest blogger Heather Preusser illustrates how a well-written picture book can be more involved than it's word count would suggest. While working towards my MFA in grad school, I read Blake Snyder’s Save the Cat! The Last Book on Screenwriting You’ll Ever Need. Even though I was a fiction writer, I found this insider’s guide to screenwriting eye-opening, especially chapter four on “beating it out.” In this chapter, Snyder defines the 15 different beats of successful movies. Could this apply to picture book manuscripts? I wondered. Beat 1. Opening Image: In the end pages, Little Red walks across a bridge holding a pie. She is shown in profile with her hood covering her head, establishing a foreboding and predatory mood. Our eye follows Red as she moves from left to right, encouraging us to enter the story. The warm colors (soft yellows, peaches, and reds) invite us in as well. Beat 2. 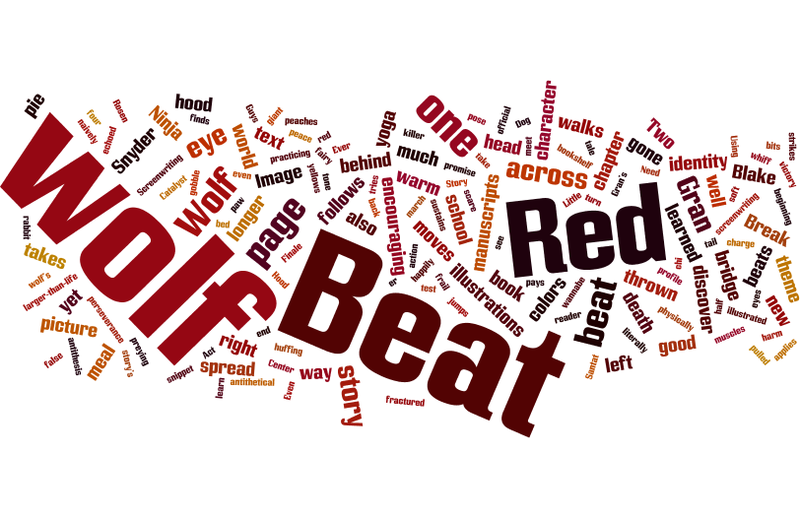 Theme Stated: On the first page, we meet wolf, the protagonist whose will sustains the story’s action. The theme (who is in control – wolf or his prey?) is stated in the text and supported by the illustrations: a rabbit, a turtle, and a preying mantis all triumph over wolf. Beat 3. Set-Up: We’ve seen wolf repeatedly fail at finding a good meal, so much so he’s now wasting away. We’ve also learned about wolf’s primary character tics: he’s frail (he has a black eye and a prominent scar on page one) yet perseverant. Beat 4. 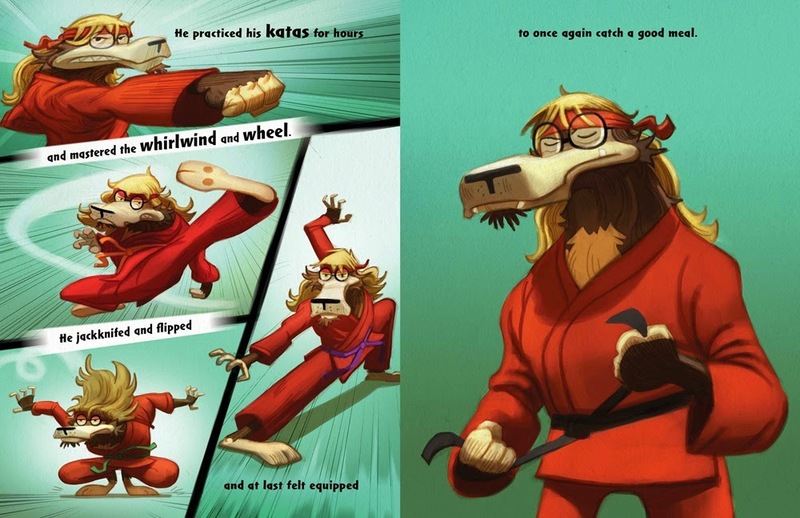 Catalyst: Deciding huffing and puffing is no longer enough, wolf sneaks into the local dojo to attend classes. Beat 5. Debate: Will wolf learn the necessary skills to scare up a good meal? After practicing, he can happily march into Act Two feeling equipped. Beat 6. Break into Two: Wolf leaves the old world where he was victim behind and steps deliberately into an antithetical world, one where he is in charge. This is echoed in the illustrations, which show him as larger-than-life, emerging from the book’s gutter and dominating the spread while a miniature Red looks naively at the reader. Beat 7. B Story: When wolf takes a shortcut to Grandma’s and discovers her gone, he dresses in her robe, places a flower behind his ear, and unfurls her fan. In bright red lipstick and fake eyelashes, he is the antithesis of wolf, a “new” character we haven’t yet met. This emphasizes the theme of identity. Beat 8. Fun and Games: Still dressed as Granny, wolf tries to convince Red it’s him – er, her – by explaining his giant eyes, long ears, massive muscles and sharp teeth. This section is lighter in tone. Beat 9. 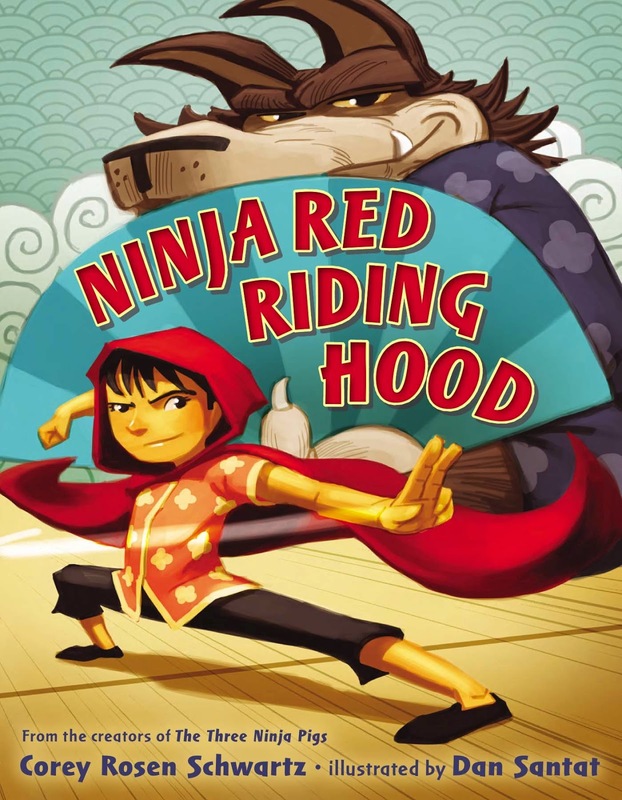 Midpoint: When wolf jumps “out of bed / to gobble up Red,” we discover she has gone to Ninja school too. Flinging off her hood, she strikes a defensive pose, which takes wolf so much by surprise he’s literally thrown off the page (we only see one paw, the snippet of his tail, and his muzzle in the foreground). Red and wolf grapple and appear evenly matched. This is an “up” beat, or false victory, for wolf. Beat 10. Bad Guys Close In: And then Gran, who’s come from tai chi, enters the text, shouting, “Don’t you dare harm a hair on her head!” There is no way wolf can beat Red AND Gran; his fall is inevitable. Beat 11. All Is Lost: The opposite of the midpoint, this is a “down” beat for wolf. Red dodges his next attack, and, after being thrown over her hip, he ends flat on his back. As he struggles to his feet and clutches his arm, there’s a “whiff of death” moment. The broken bits and pieces of Gran’s house also hint at death and destruction. Beat 12. Dark Night of the Soul: Before wolf skedaddles, Red makes him promise to give up “Red” meat. Wolf consents. He is beaten and he knows it. Beat 13. Break into Three: As the real Gran offers half her pie, her true identity shines through: she is kind and generous even in the face of a wannabe killer. This gesture allows wolf to discover the best solution: yoga! Beat 14. Finale: Wolf applies the lessons he’s learned and attends the Downward Dog Center. He is no longer weak mentally or physically. His perseverance pays off and, at last, he truly finds peace. Beat 15. Final Image: Wolf walks across a bridge, presumably on his way to yoga. Our eye follows him as he moves across the page from left to right, encouraging us to return to the beginning of the story and start again. Cool greens and blues juxtapose with the warm colors in the opening spread, symbolizing how the tension within the story has cooled as well. Now it’s your turn: take your favorite picture book manuscript – or one of your own manuscripts – and “beat it out”! 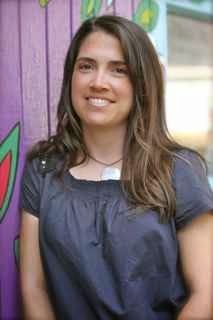 Heather Preusser teaches high school English in Colorado. When she’s not teaching, reading or writing, she enjoys telemark skiing, rock climbing and learning ridiculously long German words. She is represented by Janine Le from the Sheldon Fogelman Agency. You can find her on Twitter at @HeatherPreusser. Thanks to a university minor in philosophy, which introduced me to ontological and existential schools of thought, I have become fascinated by the concept of artificial intelligence, particularly in the idea of creating synthetic humans. This fascination hinges on the answers to the following questions: What is it that makes us uniquely human? Can we replicate that? What happens if or when we do? At what point does a machine become human? I've always been drawn to robots, particularly androids (robots that resemble humans), in science fiction. 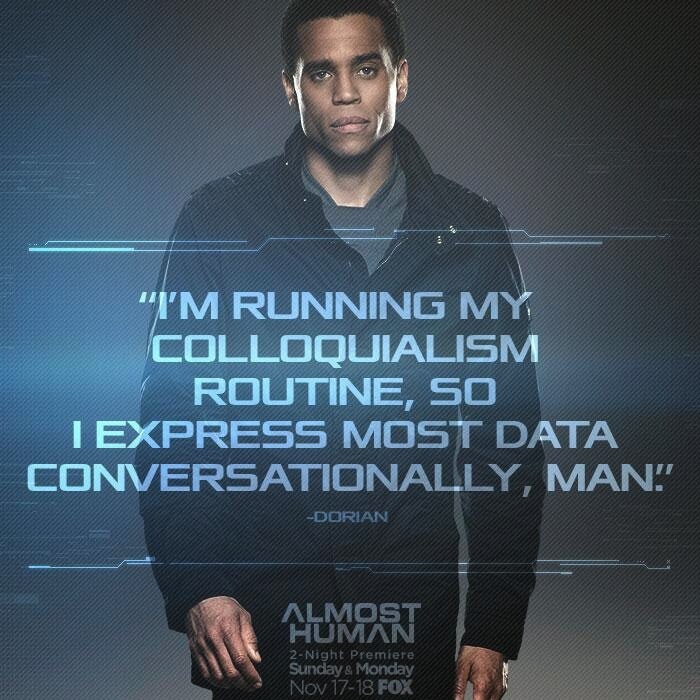 In fact, some of my favorite characters from sci-fi blockbusters like Interstellar and sci-fi series like Almost Human and even Extant, have been the robots! But why and how do these machines become likable characters, often eclipsing their human counterparts? 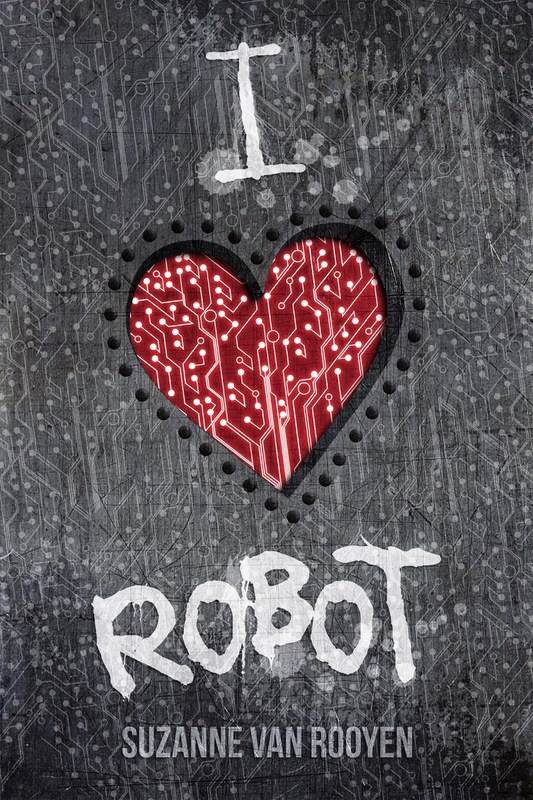 This was one of the biggest challenges I faced when writing I Heart Robot. I needed to bring androids to life in a way that made them seem human while never letting the reader forget they were machines. My process was similar to creating a human character: what are their biggest strengths? What are their biggest weaknesses? What do they want? What do they fear? What makes them vulnerable? The answers to these questions might not even be things the android is inherently aware of – depending on the capabilities of their AI – but as an author, I could show these traits to the reader anyway by putting my androids in situations that garnered sympathy for that character. 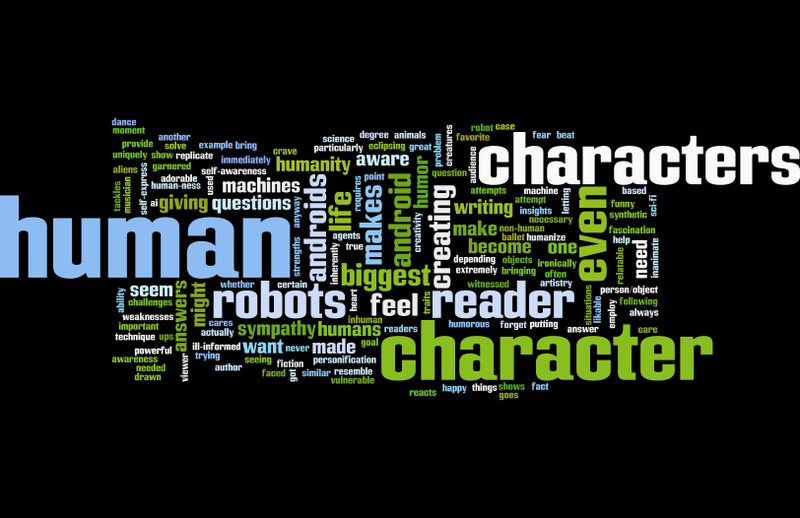 Getting the reader to feel for a character – even if the android can't feel for themselves – is extremely important! Another technique to employ is humor. This is used very well in Interstellar to bring TARS and CASE, the onboard robots, to life, and we see it too in Dorian from Almost Human. Humor requires a certain amount of self-awareness, which immediately ups the degree of 'human-ness', but can also be used to humanize the character even when they themselves might not be aware of why they're being funny. Consider Star Trek's Data and his aphorisms, or his adorable yet ill-informed attempts at being human, trying to sneeze for example. These humorous moments engendered sympathy in the viewer for the character and made the audience feel for Data even when he couldn't feel for himself. Another stand out moment, and one that greatly influenced I Heart Robot, is a scene from Terminator: The Sarah Connor Chronicles where the terminator Cameron is imitating a ballerina on TV. Her attempt at dance is witnessed by one of the human characters and it's how that human character reacts to seeing a robot doing ballet that makes the moment so powerful. This was a device I employed in I Heart Robot. My android is a musician and his awareness of human artistry, human creativity, and our ability to self-express when he cannot, ironically shows his humanity. Bringing non-human characters, in this case – robots, to life boils down to giving them just enough humanity to make them relatable. Giving them a goal, a question they need to answer, a problem they need to solve, or a person/object they want to engage with will provide the necessary personification to make the reader care about the character, and once the reader cares, you've got a living character even if they don't have a heart beat. Suzanne is a tattooed storyteller from South Africa. She currently lives in Sweden and is busy making friends with the ghosts of her Viking ancestors. Although she has a Master's degree in music, Suzanne prefers conjuring strange worlds and creating quirky characters. When she grows up, she wants to be an elf. Until then, she spends her time (when not writing) wall climbing, buying far too many books, and entertaining her shiba inu, Lego. Her books include The Other Me (Harmony Ink) and I Heart Robot (Month9Books).